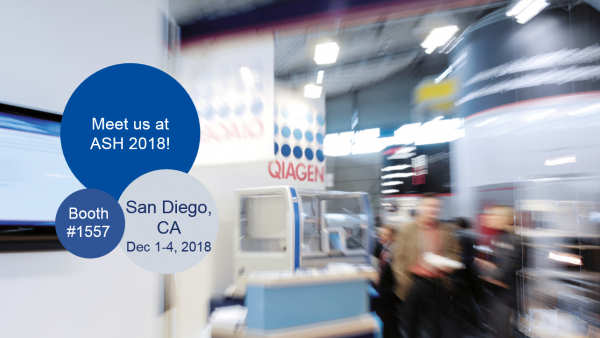 Today, at the 60th Annual Meeting of the American Society of Hematology (ASH) in San Diego, California, QIAGEN announced the launch of two novel products to deliver actionable insights on a wide range of blood cancers: a new workflow for the QCI Interpret bioinformatics solution for hematological malignancies, and the new QIAact Myeloid DNA UMI Panel for use in myeloid neoplasm research as a Sample to Insight workflow on QIAGEN’s GeneReader NGS System. Learn more about QCI Interpret for Myeloid Malignancies here. September 14, 2018How is QIAGEN enabling genomics-guided precision medicine?